Canvas and resin is one of the best combinations. Canvas is so fun to paint and create on, but there is nothing that seals the deal quite like a thick layer of luscious glossy resin. Resin instantly gives it the perfect professional touch! Embellishments for canvas...frames, birds, etc. Paint the canvas...add color, shimmer, stencil in some fun details. Let each layer dry and then add some more fun details. Add some thicker strokes. Add a spritz or two of spray paint. Splatter some paint. Add lots of fun textures. Then use hot glue and stick some pieces on it. I made this darling sparrow out of resin and thought it would be perfect on the canvas. Then use a brush and add a thought or quote, use 2 different fonts. Then take to a covered table in a well vented area. Insert a board in the back of the canvas to hold its shape while your resin sets. Set your canvas (board and all) up on cans of soup. Read the resin instructions and mix properly. Pour the resin right over the top of the canvas. It will drip off the edges. After 20 minutes use a heat gun to remove any bubbles that have formed. Then let it set overnight. I love the awesome high gloss finish! It looks super professional and high quality! Great way to make a custom canvas for your home. Make a piece to match a bedroom color scheme. Great home decor piece or fun gift idea. 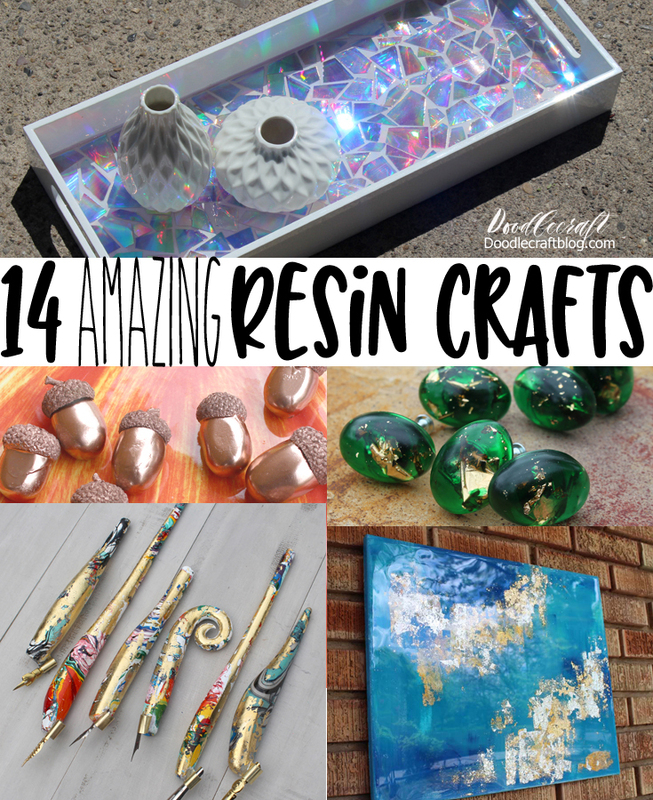 Check out these fun Resin posts too!